Classic Foods and Events are Event Planners and owners of a Catering outfit in Ijebu Ode, Ogun State that make delicious meals for all events and ensure complete event decoration with lighting and sounds. We specialize in researching, designing, planning, coordinating, and evaluating corporate functions such as launches, fund raising events, award evenings, team building activities as well as all varieties of private functions including children's parties, baby showers, bridal showers, birthdays and provision of varieties of dishes and drinks viz: Continental and Africa dishes. The most important feature that differentiates us from other companies is the reputation and the closeness we have been able to achieve with our numerous clients. Our proven success is also based on our ability to partner with key suppliers on large projects, bringing together the most talented people to create an unforgettable experience. 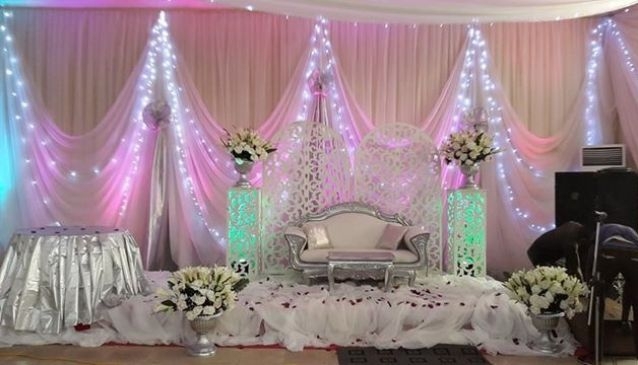 For a beautiful and memorable event, call us on 08157166553.